With the success of our first Wallpaper Calendar in 2015, we are pleased to be launching the second edition. 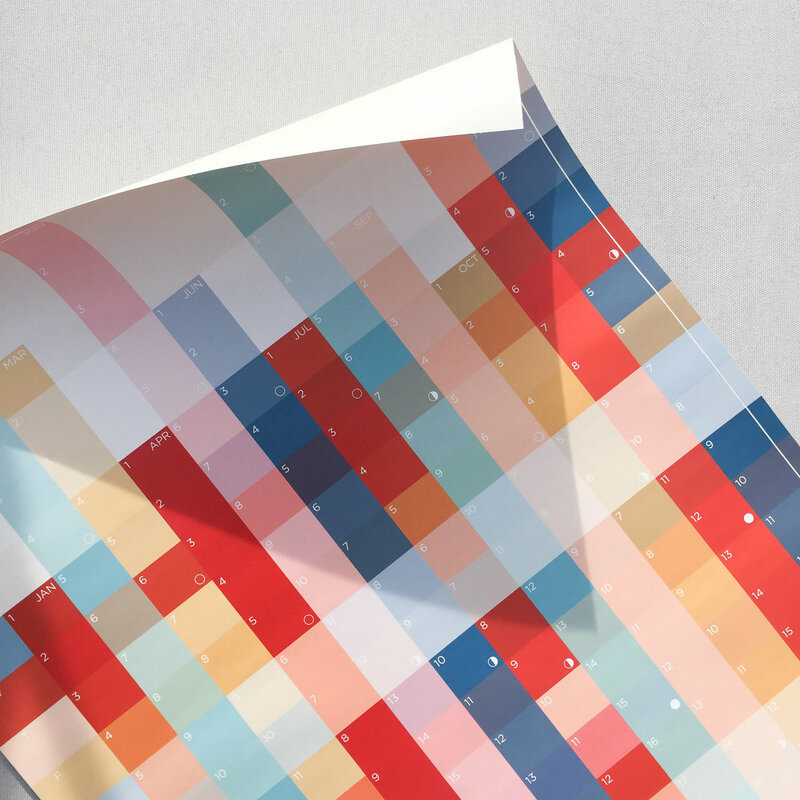 The 2016 planner is a bright, visually interesting calendar large enough to write notes and memos on, or left blank as a day / date reference and something colourful to put on your wall. The calendar is printed on our pre-glued wallpaper stock. By pre-glued, we mean you only have to submerge the paper in water for around a minute which activates the adhesive, then simply apply the paper to your chosen surface with a wet sponge. It will come off easily and without trace at the end of the year, but of course if you don't want to stick it, blu tac, pins or a frame work just as well.